So, your grandparents have been asking you, “What’s this Facebook thing all about?” and it’s time you gave them an answer. Yes, it’s not easy to explain, especially because for most millennials, using Facebook is second-nature. But Facebook can be a terrific way for grandparents to stay updated on the latest family happenings, and can also improve overall mental health and well-being, so teaching them how to use it properly can be well worth the effort. How Exactly Do You Teach Facebook to Seniors? First, sit in front of the computer. If you’re not in front of the computer, the words you use will end of being meaningless. Use a computer to show your grandparents what you are talking about – and after you go over the principles, let them try it for themselves. The only way your grandparents will learn is by doing it for themselves – over and over again. Lest you think your grandparents are weird, this is actually the way everyone learns to master a new skill! Setting up an account – This is something you can do jointly with your grandparents. As always, make sure to show them exactly what you are doing. When you get to adding information and photos to their profiles, teach them how to do it themselves, since this is something they might want to change in the future. The jargon – “Like,” “Share,” “Post.” All these simple words that are quite clear to us will not be clear to your grandparents. Teach them what they mean and the actions they perform. Let them try a few of these actions themselves (with your supervision so as to avoid awkward mistakes) so that they can get the hang of it! The concept of Facebook friends and who sees what – Show your grandparents how to search for names. Maybe they will find childhood friends! Then show them how to send a friend request. Additionally, send them a friend request from you, and show them how to accept it. Then, show them how to get to their news feed (another no-brainer for us, but remember, your grandparents have zero experience with this). Show them people’s posts, and explain that what they post will appear in other people’s news feeds. When Facebook launched in 2004, it immediately attracted an audience of people in their teens-20s-30s. Today, however, that is not the case. 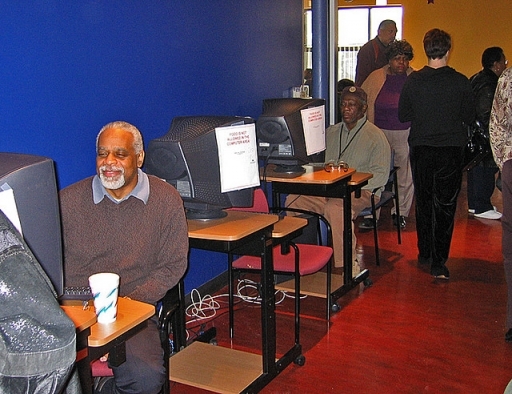 A 2012 survey found that 60% of U.S. seniors (65+) go online, and out of that group, 49% use Facebook. So if your grandparents are part of that 49%, you might worry about setting up boundaries and oversharing. Both of these options are not very good, since it means either censoring yourself or blocking your sweet little grandma from seeing your posts, which is why she got on Facebook in the first place. So in a final effort to avoid awkward or embarrassing situations, add boundaries to your list of principles to teach. If discussing specific situations might lead to some embarrassment, use this great article that explains Facebook “etiquette” in a clear and respectful way. And if you need encouragement along the way while you’re teaching your grandparents how to use Facebook, check this out and you’ll remember why you’re doing it in the first place. Of course, if you need some additional help caring for your grandparents, give Abcor a call and inquire about their Chicago home health and home care services today!